This is Park #546 to the Chicago Park District. 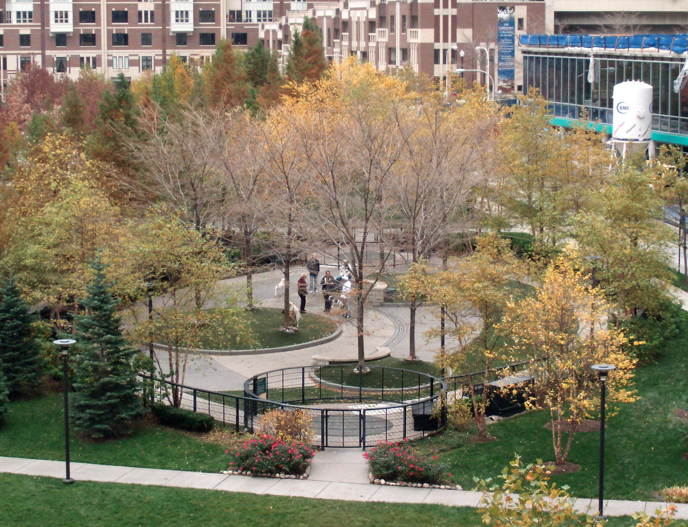 Located in the park at the center of Lake Shore East. This park is pretty hard to find! East Dog Park was the first park in Chicago to use K9 Grass that we are aware of. The K9 Grass is regularly sprinkled to keep it clean. As of January 27th, 2014, Lake Shore East Dog Park is in need of a support committee chair.